Posted by: Ash on November 4th, 2014, in Guides. Tags: Alta Floresta, Amazon Rainforest, Birding, Cusco, Iquitos, Peru, Puerto Maldonado, Tambopata, The Andes, Wildlife. The Amazon Rainforest is the world’s largest container of wildlife and is also the world’s largest tropical wilderness, which is to say it is one of the least touched by human hands. This, clearly, makes for exceptional birding. The Amazon is home to the world’s most powerful bird of prey, the harpy (pictured) and innumerable hummingbirds, parrots and other favorites. 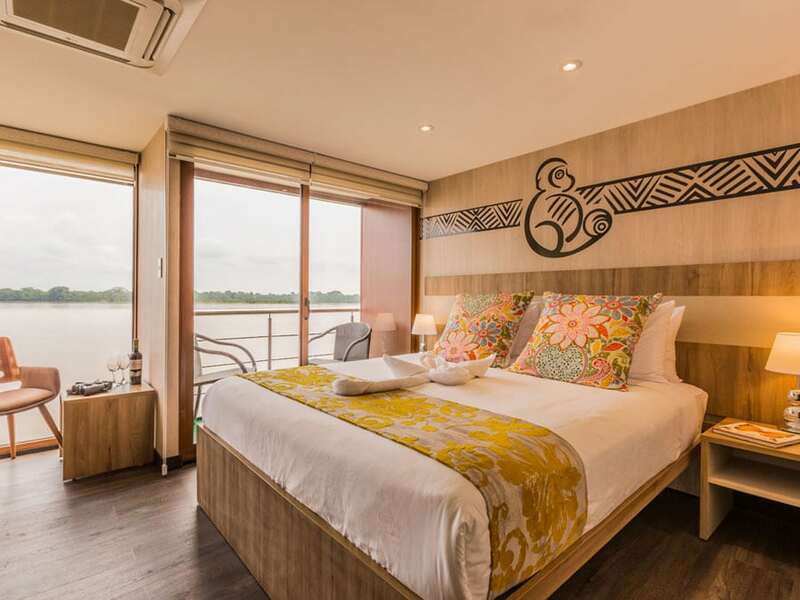 The Amazon has many fantastically positioned lodges to make the most of the Amazon Rainforest’s birding opportunities and specifically designed tours to cater for the novice to seasoned birder. We have selected the following experiences as the cream of the crop for Amazon birding tours where you will make the most of your budget and time available. If you are not overly familiar with the Amazon Rainforest or tropical birding, you may think the birding opportunities will simply be a little more exotic than a temperate region. To shed a little more light on what awaits you, the Tamshiyacu Tahuayo Reserve accessed from Iquitos in northern Peru is a relatively small protected area compared with some of the other parks we will mention below. The Tamshiyacu Reserve is about 322,500 ha (about 1/3 the size of Yellowstone National Park) and we have identified by name about 600 different bird species. To keep with the comparison, Yellowstone National Park in the US (3x the size of Tamshiyacu) has 300 species, or half the number of birds. 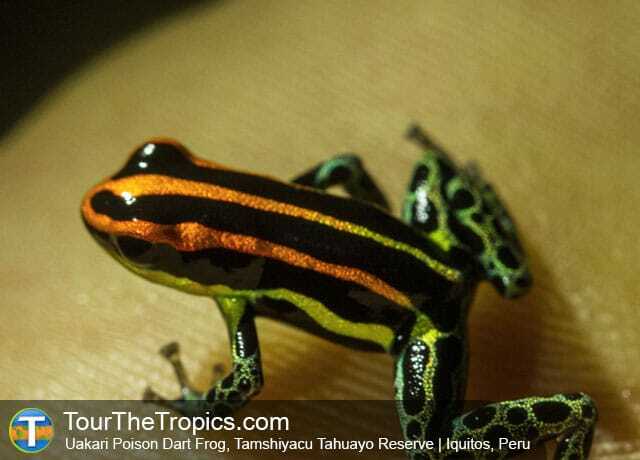 With your private guide, you can stay at the Tahuayo Lodge to view as many of the 600 different species as possible. 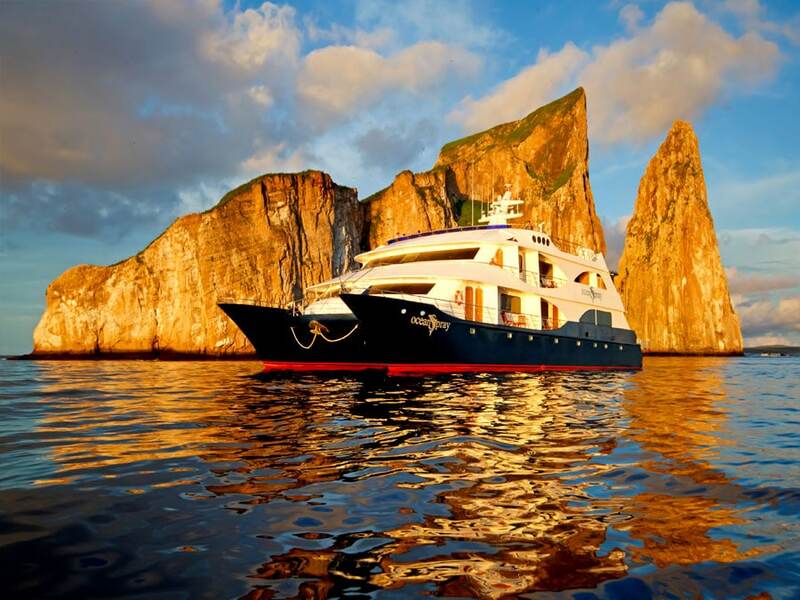 We recommend a tour of at least a week to get the most of the experience. The Manu National Park in southern Peru has over 1000 different species identified. This diversity is due to Manu containing Andean forests as well as lowland tropical rainforest. To keep with the comparison of the US, there are only 1000 bird species in the entire north American continent. To make the most of Manu birding, we provide a specialized Manu birding tour for birdwatchers to maximize your opportunities from Andes to Amazon. In this post, we will go over some of these areas and the fantastic lodges and tours that are waiting to show you some of the world’s best birding. Peru contains the second highest amount of Amazon Rainforest and one of the most species diverse areas of the Amazon. This makes birding in Peru’s Amazon Rainforest a fantastic experience. The best birding from Iquitos, in northern Peru, is a little way out from the city, such as in the Pacaya Samiria National Reserve flooded forest or the neighboring Tamshiyacu Tahuayo Reserve. As mentioned above, birders have recorded over 600 different species in the Tahuayo and the reserve has been the focus point of birding guide books and nature studies, including documentaries. With your private guide, you have a customizable and flexible itinerary while accommodated at the renowned Tahuayo Lodge. Simply mention your interests on the enquiry form and you will be assigned a guide to best suit your requirements. As well as the 600 or more bird species, you are likely to also see some of the other animals inhabiting the reserve, such the 132 non-flying mammals or the 16 species of primates. 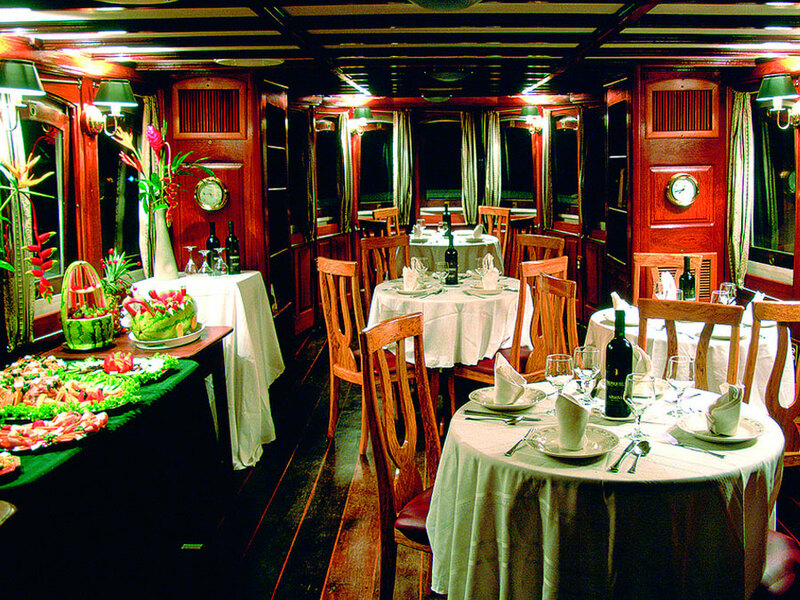 The experienced guide will take you to different areas to maximize the species you can see, such as a visit to the lake to see the hoatzins sitting near the water and horned screamers perching on the tall trees, or the Manakin Lek to see these colorful Amazon birds performing their dance. In addition to these trips, you will be exploring the forest, lakes and waterways finding as many birds to add to your list as possible. Another exceptional lodge, the Cristalino Lodge accessed from Alta Floresta in Brazil’s Matto Grosso state provides fantastic birding in Brazil’s Amazon Rainforest. 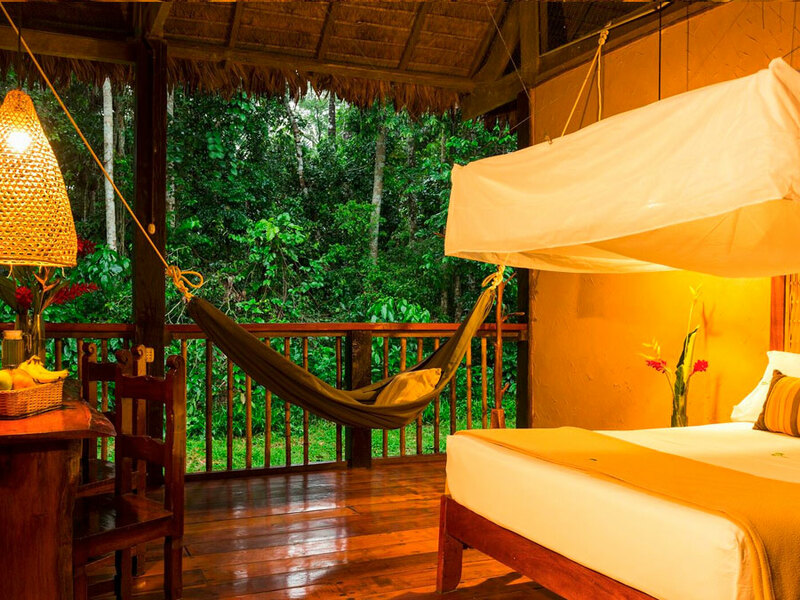 This lodge is renowned among birding enthusiasts and you can explore the rainforest, waterways and canopy tower with your naturalist guide to find many of the 500 recorded species inhabiting the area. Ecuador, being home to the Yasuni National Park and the Cuyabeno Forest Reserve, contains one of the highest studied levels of animals and plants worldwide. 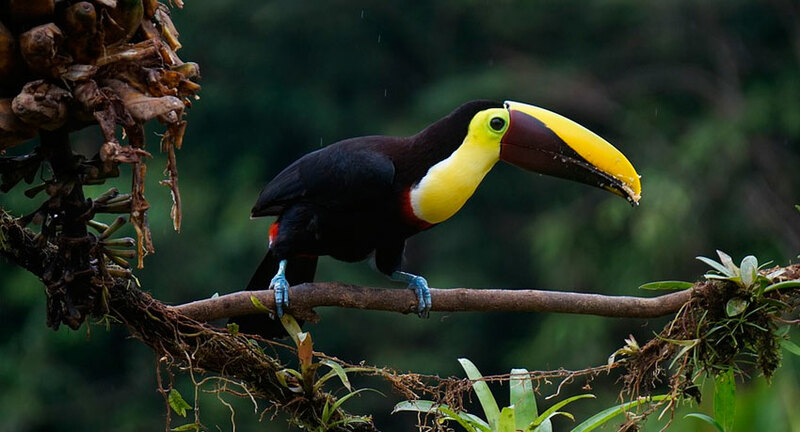 This makes birding in Ecuador’s Amazon Rainforest an incredible experience and we have selected several different lodges offering fantastic birding tours. Enjoy comfortable lodges and fantastic infrastructure, such as canopy towers and canopy walkways to see many different species. The lodges we have selected have birding guides or specific birding tours waiting to show off the birdlife of Ecuador’s Amazon. We are now further south in Peru’s Manu and Tambopata Amazon Rainforest. This area has the highest number of clay licks in the Amazon. Clay licks are areas visited by birds and a few other animals, which feed from the medicinal mud. These are the Amazon’s pharmacies where the clay helps detoxify food items eaten in the jungle. The Manu National Park has fantastic clay licks and several lakes not to mention access to the Peruvian Cloud Forest. The forest of Manu is the most pristine of the highly biodiverse and threatened Cloud Forest that exists today. Traveling from Cusco to the Cloud Forest you will then journey into lowland rainforest to see many of Manu’s 1000 or so described bird species. We will stay at different lodges, including the Manu Wildlife Center, a lodge nature enthusiasts adore due to the easily accessible areas for outstanding wildlife opportunities. 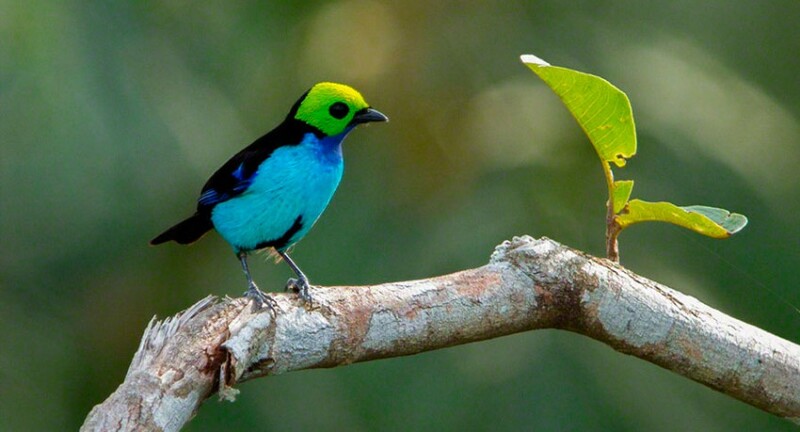 Either choose the Manu Wildlife Center directly or enquire for their birding programs. The Tambopata area is unique in the Amazon as incredible diversity is just a short distance away. You only need to travel 30 minutes from town to see one of the world’s most wildlife-rich and diverse areas. Because the reserve and surrounding forests are so close, you can maximize your birding opportunities for your time and money. If you are a budget conscious birder, it has hard to beat a birding tour from the Posada Amazonas Lodge. If you only have a few days, you can also consider a tour of Sandoval Lake Lodge to see a high number of lake birds (Sandoval Video Below). However, to get deep into the reserve for the best birding, you can enjoy a tour from the Tambopata Research Center. 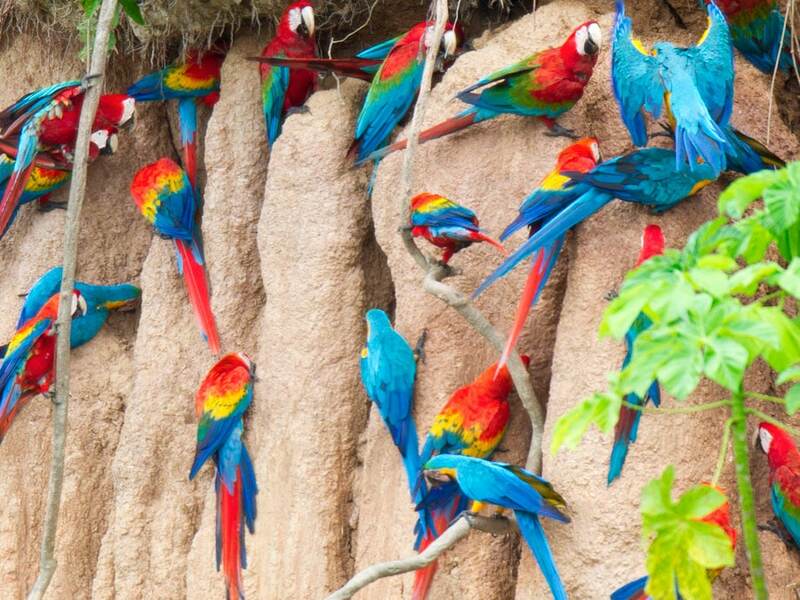 Here you have access to one of the largest Macaw Clay Licks in the rainforest and can hear talks by macaw researchers, included in the Tambopata Research Center Birding Tour so you can learn more about the lives of these magnificent parrots. The Amazon Rainforest is where you will find the world’s best birding. You will also find many endemic species, as in small pockets of the rainforest there are species not found in other Amazonian areas, let alone anywhere else on Earth. For example, the Manu Cloud Forest contains a high amount of endemism with species varying dramatically from their lowland cousins. Also remember that if you’re interested in a budget or very short tour, you should focus your time on the Puerto Maldonado region of southern Peru as abundant diversity is located very close to town.